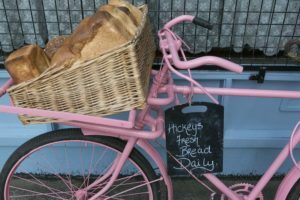 The aroma of freshly-baked bread rises to entice you through the elegant glass-fronted entrance to Hickey’s Fancy Bakery and Café, beside Clonmel’s West Gate. The original ‘Spirit Store’ sign is on the shop front and keeping up the tradition that goes back to when the people of Clonmel and beyond enjoyed a drink in the snug on fair days. 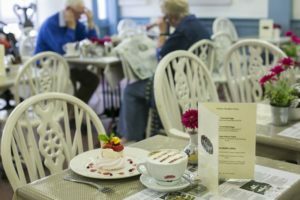 Once inside, the temptation to settle down in the bright, welcoming Cafe to enjoy breakfast, lunch, a coffee and cake break or a slice of the famous Hickey’s Brack is simply irresistible. 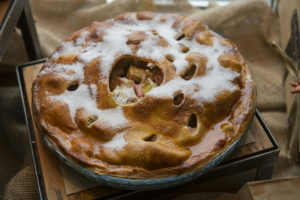 It’s the longest-established eatery in town, and there’s nowhere better in Clonmel to enjoy a delicious meal made from the finest locally-sourced ingredients and products. These days it’s run by Nuala Hickey, who started working there straight from school. 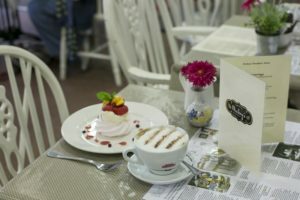 Over the past two decades, Nuala has built on its century-old heritage to create a unique, stylish café. It’s a wonderful morning stop-off, with the smiling waitresses offering a delicious breakfast menu with everything from the traditional full Irish to creamy eggs Benedict with baked ham, poached or scrambled eggs, or a crispy bacon salad with Inch House black pudding and a poached egg. 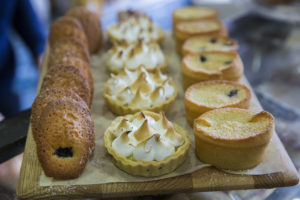 Healthy options include seasonal fruit and Greek yoghurt, Flahavan’s porridge with cinnamon, or croissants, muffins and scones with Crossogue Preserves. Our Lunchtime menu is freshly cooked, changes daily with vegetarian and fish options. Our ingredients are locally sourced with seasonal adjustments to give you the best dining experience every time. Baps, wraps and doorstep sandwiches are also made to order from our salad bar. 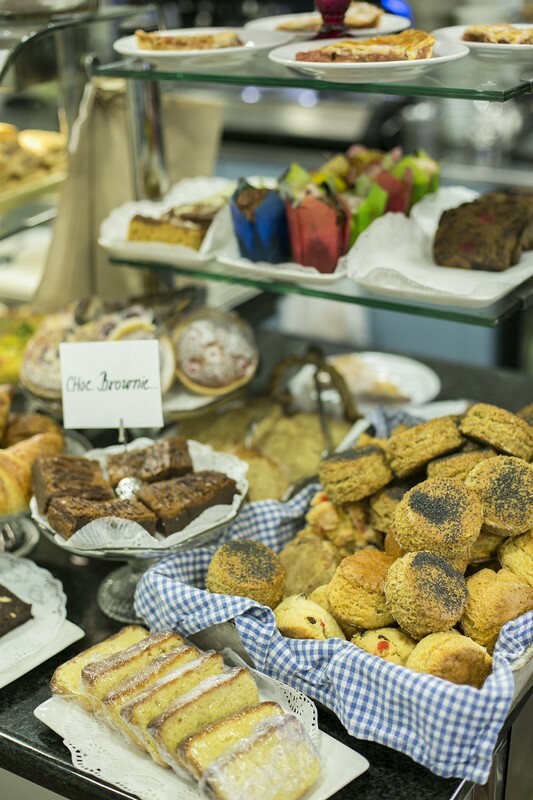 Throughout the day, those scones, cakes and our speciality coffee menu make it a perfect stop for morning coffee or afternoon tea, ideal whether you want to chat or gaze peacefully out at the mountains, just across the nearby River Suir. 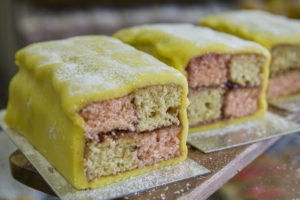 To continue the Hickey’s experience as you leave after enjoying your meal, why not see what takes your fancy from the bakery counter on the way out? 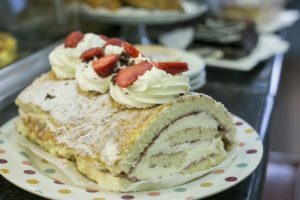 It’s just what savvy Clonmel shoppers have been doing for generations past, and judging by the popularity of both bakery and café, they will continue to do so for generations to come. 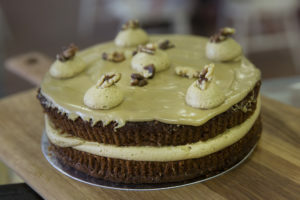 The Bakery’s day starts the night before when the bread is baked in the original, artisan bakehouse founded four generations ago in 1900 by proprietor Nuala Hickey’s great-grandparents. 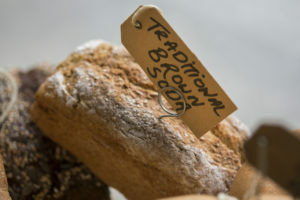 By morning, traditional crusty grinders, sliced loaves, Vienna rolls, brown soda bread and spelt loaves with honey are lined up on the shelves awaiting the day’s buyers. 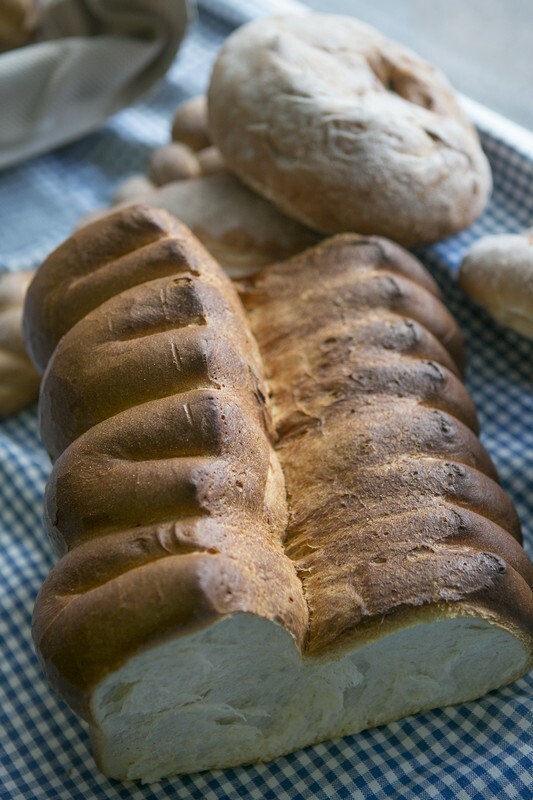 Hickey’s famous Barm Brack is also produced in the bakery and the rows of beautiful fresh bracks are ready for delivery to shops and Customers locally and internationally. 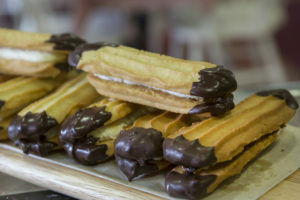 Sweet treats are baked and decorated in the confectionary bakery and the range of products includes éclairs, fancy buns, doughnuts, lemon drizzle cakes, chocolate biscuit cake and much more, created entirely on the premises.